Is your current resume updated in terms of your personal details and achievements? But how updated is it as per the trends? Because if your resume contains an objective statement, employers will obviously consider that as an outdated one. Hence replace your objective statement to Resume Executive Summary. 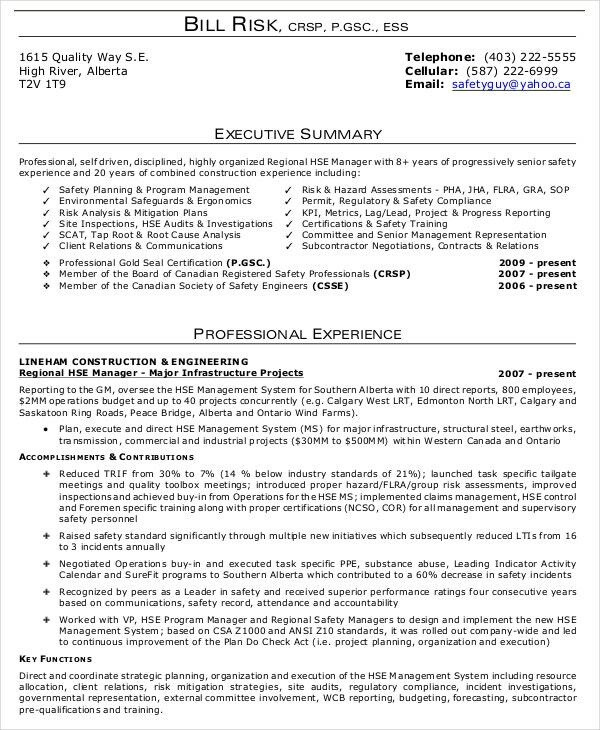 Use this Resume Executive Summary to lure the best employer in town. Yes, you are literally summarizing the proposal without the quality going for a toss. This Proposal Executive Summary Example helps you prepare mountains of summaries remorselessly. It writes and reads well. 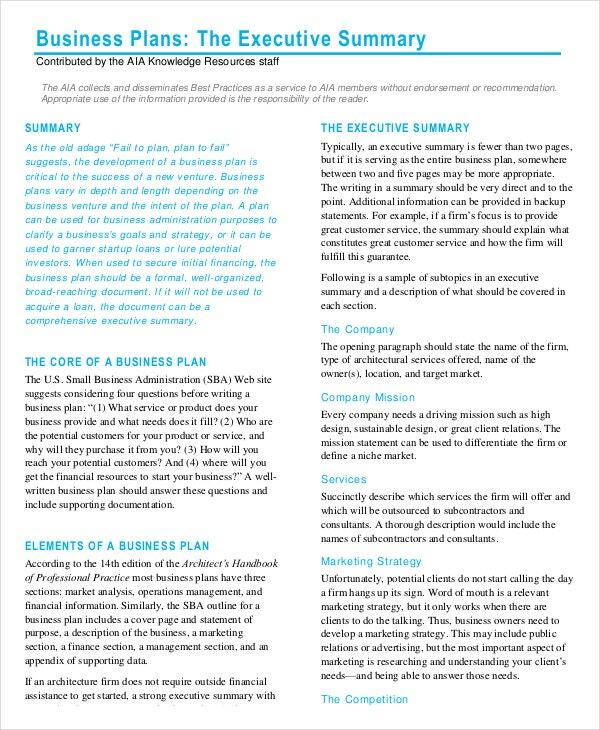 In Marketing, Executive Summaries are the shorter format of Marketing Plans. They help to introduce the key elements of the plan in the introductory paragraphs itself. This Marketing Plan Executive Summary Example will help you make one gagillion proposal. Business Plan Executive Summary is a brief outline that defines and describes the company’s goals and future prospects. 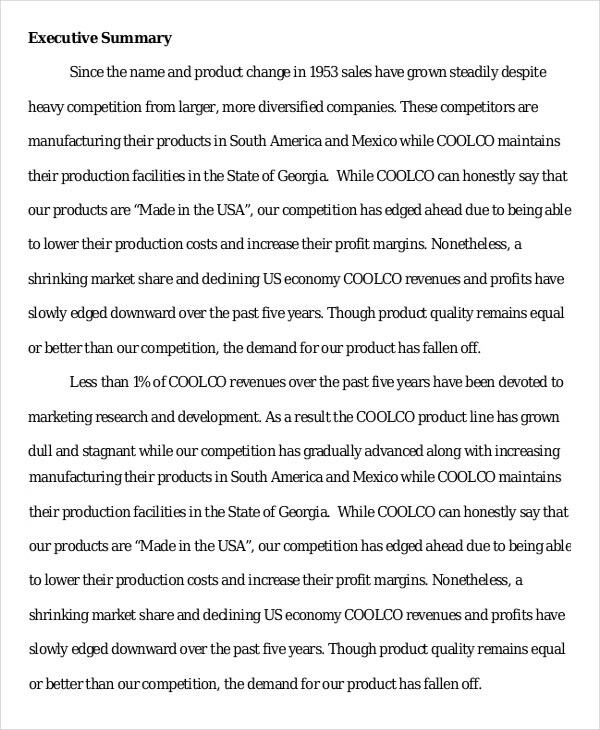 With the example, you can essay brief description of services and products. Business Case is a business concept that is both profitable and practicable. 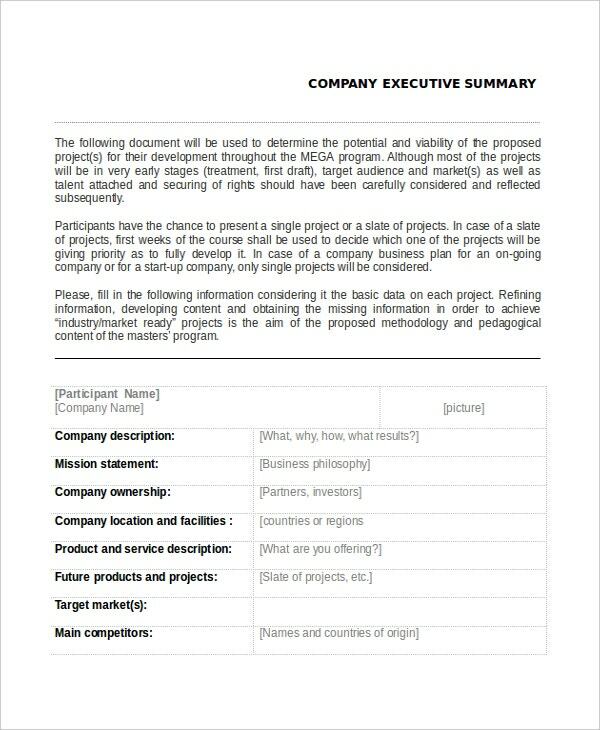 This Business Case Executive Summary Example inspect the business dynamics of your current project. Deal or no deal? If Executive Summaries bring significant change for resumes, so are they for Cvs. 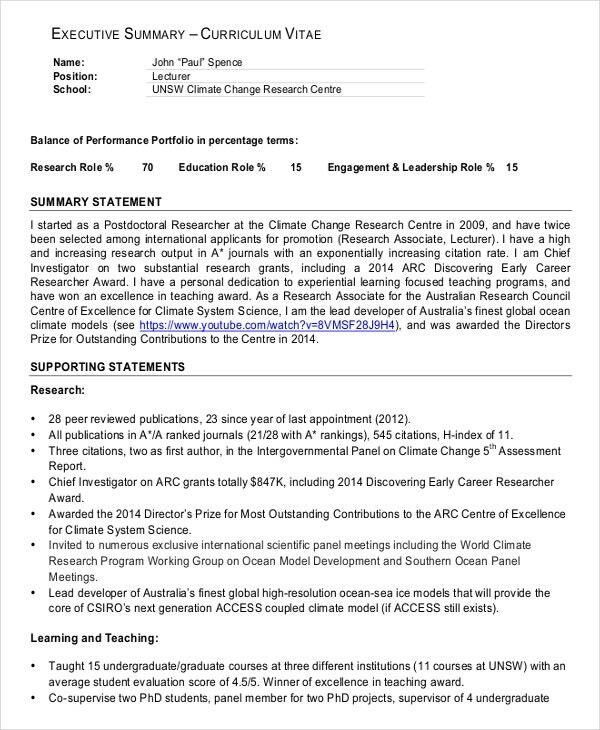 This CV Executive Summary Example uplifts the credibility of your CV. Start circulating your edited CV now. Company Executive Summary Example put all your business cases, marketing plans, and/or business plans to the sword. That means this is the solution to all your worries. > What is an Executive Summary? Executive Summary or Management Summary is a summary of the whole document produced for the convenience of reading. It comprises the soul of the document into one or few paragraphs. The Executive Summary Examples mentioned in this document will give you an idea about the various Executive Summaries available for reference. > How long does an Executive Summary have to be? The length of an executive summary depends on the length of the document. 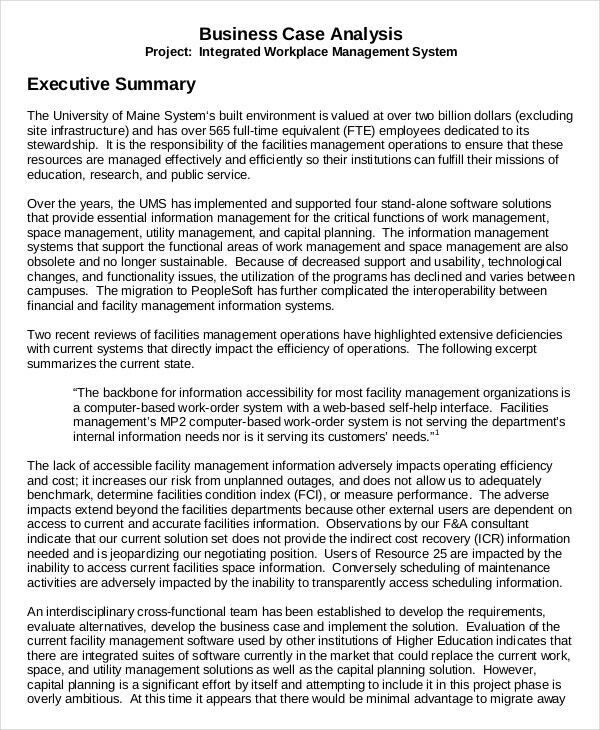 If the document is 5-page long then the executive summary has to be not more than one paragraph. While a longer document containing about a hundred or more pages could be summarized in three-four pages. > What should be included in an Executive Summary? 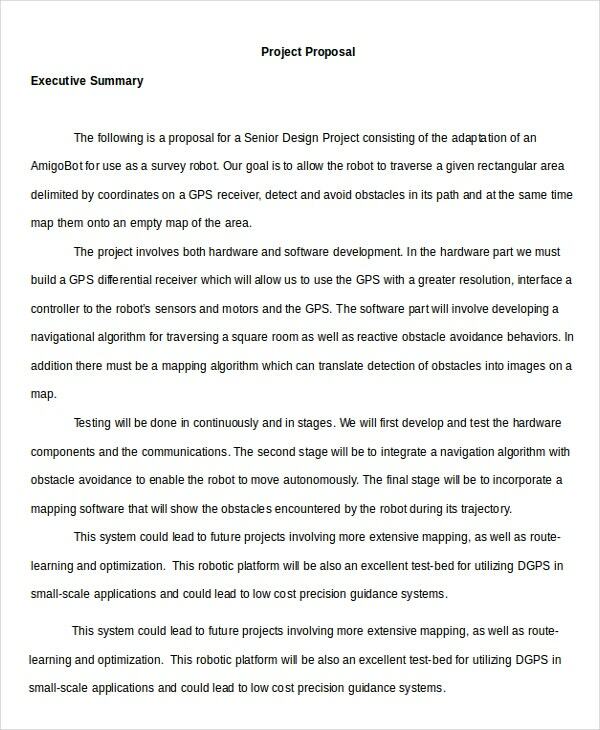 As discussed in the above paragraphs, the executive summary is a synopsis of any business plan. It should include all the important features of the business plan and should be able to spell out the business plan in a very few words or paragraphs. It should be precise, sucinct and to the point. However, one should keep in mind that an executive summary should also be able to generate enough enthusiasm in the reader to go through the details of the business plan. > Executive Summary are Potential Winners! Executive Summary precedes your business plans, resume, documents of great importance, etc. Thus, it is of utmost importance that the executive summary is full-proof without any error and contains only the important matters. The Executive Summary Examples mentioned in this article will help you win any situation with ease.